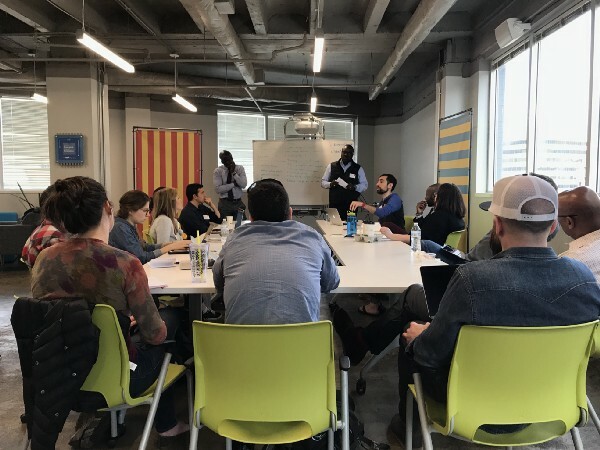 A couple of weeks ago, CO.LAB was invited to partner with CO.STARTERS to host the Startup Champions Network Summit here in Chattanooga. 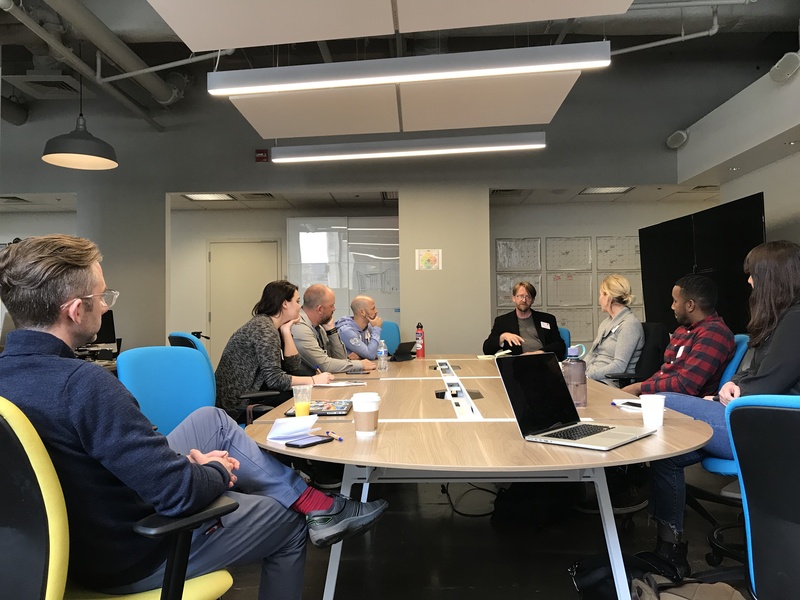 Startup Champions Network (SCN) is a national sharing group dedicated to supporting innovation ecosystem builders across the United States and the entrepreneurs they serve. 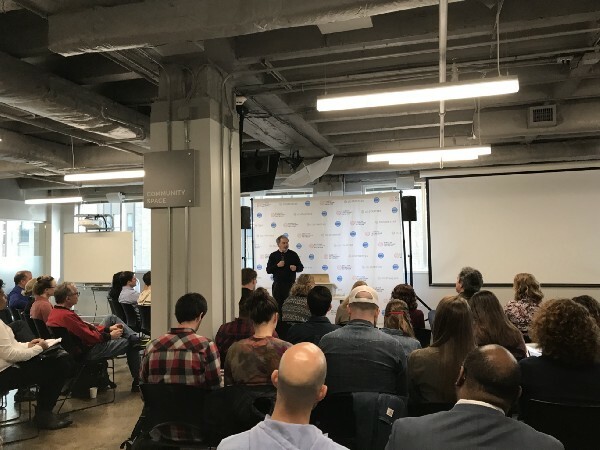 Over the two-and-a-half day summit, ecosystem builders from across the country gathered in The Edney for critical conversations around how we can all best serve our communities. A number of topics were covered, including best practices for engaging corporate partners, how to develop and distribute toolkits, and much more. We asked a few folks from SCN to give us a quick recap of their experience. Ken Hays with The Enterprise Center talking to SCN Summit attendees as part of a speed introduction session at 1 Million Cups. What was your biggest takeaway from this week’s summit? One reflection that I have to carry forward from the summit are the relationships with people that are doing similar work in their own way! It’s inspiring to witness fierce dedication within those that work tirelessly and strategically to build entrepreneurial ecosystems. What’s your take on Chattanooga’s own ecosystem? Chattanooga is coming to be a third home for me and since 2015, I’ve witnessed a great deal of growth and development. Both in their built environment and people. It’s truly exciting to see—with critical assets such as the gigabit fiber optic network, the Innovation District, and investment funds like Dynamo—I see Chattanooga continuing to unleash its potential in the South. What was the highlight of this summit for you? Listening to stories and struggles that similar ecosystem builders have experienced. You truly find that you are not on your own! A group of SCN Summit attendees on a hike from Craven’s Point during one of the Adventure sessions. What was your biggest takeaway from last week’s summit? Collaboration across groups matters! Good branding of the ecosystem and the organizations is equally important. I was impressed with the collaboration between groups and organizations even though there is some crossover between the entrepreneurs they serve. The Edney Center was a great case study on how organizations can work together to build something bigger. I was also impressed with the amount of things happening in a relatively small city. Finally getting to see what Enoch Elwell has been building in Chattanooga with CO.STARTERS and see how it fits in the local ecosystem. 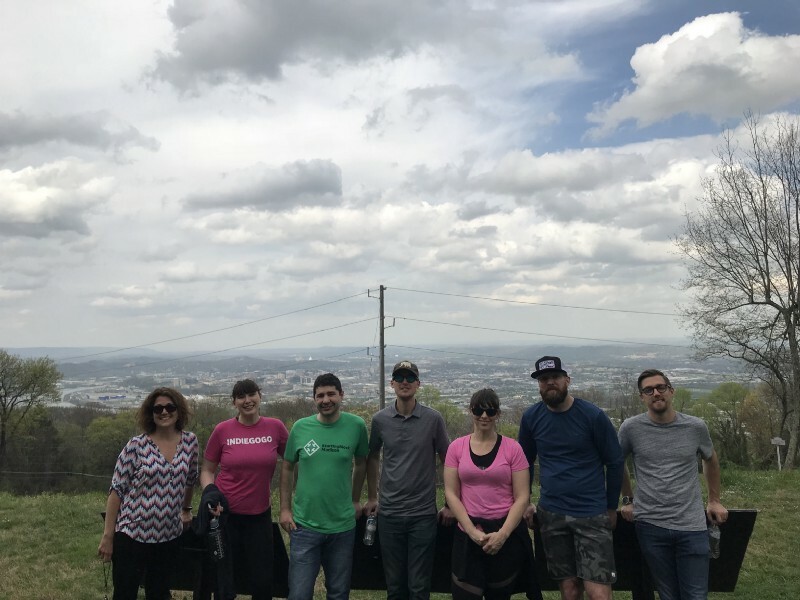 In addition it’s always great to reconnect with friends and colleagues and meet new people in a great city like Chattanooga! Our CEO Marcus Shaw leading a breakout session about corporate engagement during the summit. I came away feeling energized and inspired. I have a handful of calls set up with SCN members to further explore women investors, women in entrepreneurship, corporate sponsorship, and [connections] in agriculture. These thoughtful conversations were and are expected to be very valuable. Women’s breakfast and afternoon activities where meaningful networking occurred. What was your favorite session/discussion/workshop? Why was it your favorite? The lunch therapy session was my favorite because it opened up thoughts, questions, and discussion that is usually suppressed because people do not feel like they are in a safe environment to do so. I hope this same conversation is on the next summit’s agenda. My favorite breakout session was on angel investment because of our mini-breakout group’s theme: women in angel investment. The other members of this breakout had many best practices, stories on what they have tried, and tools to share. You can learn more about the Startup Champions Network at http://www.championsnetwork.co/.